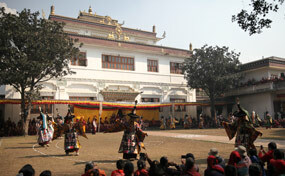 The highlight of the seven day long Gutor Puja was the all-day Lama Dancing, or cham (Tib). 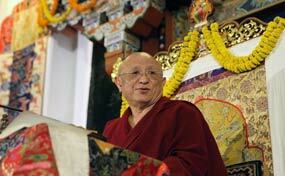 Today, a five day phowa retreat at our monastery has concluded. 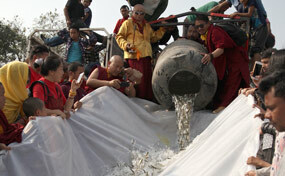 The third day was dedicated to Chod and the last day to Amitayus. 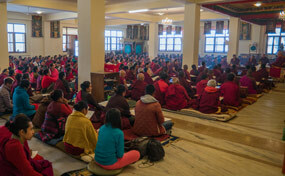 About 350 Himalayan practitioners have gathered in our monastery for a month-long intensive retreat on the preliminary practices. 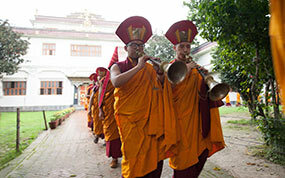 Today was the last day of the final exams for our monks at Ka-Nying Shedrub Ling Monastery. Annual RYI Fall Seminar & Retreat 2017 was a great success! We had the largest number of students ever, the Nepali speaking Himalayan sangha joined us this year as well. 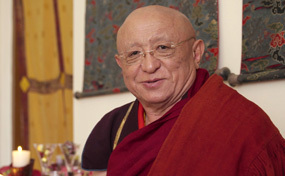 We are delighted to announce that Chokyi Nyima Rinpoche will host the 37th Annual RYI Fall Seminar at Ka-Nying Shedrub Ling Monastery in Kathmandu. 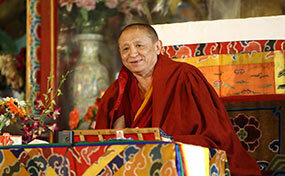 These teachings will be made available online for students around the world. The monks of Ka-Nying Shedrub Ling Monastery officially concluded their summer retreat (Yarney) by circumambulating the Great Boudhanath Stupa. Today, at the end of the monastic summer retreat 'Yarney', Chokyi Nyima Rinpoche bestowed the Green Tara empowerment to a large group of people. 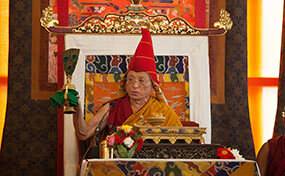 Today Chokyi Nyima Rinpoche was invited by Ven. Deputy Sanghanayaka Bhiksu Jnanapurnik Mahasthavir to share lunch and have some discussion. 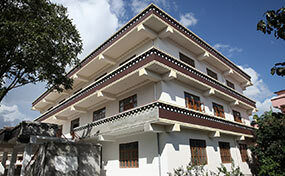 The new semester of the Rangjung Yeshe Institute, Kathmandu, has started in the new building.